Crackberry Asks: Do you want a thin BlackBerry 10 handset or a thicker one with better battery life? Do you want a thin BlackBerry 10 handset or thicker one with better battery life? 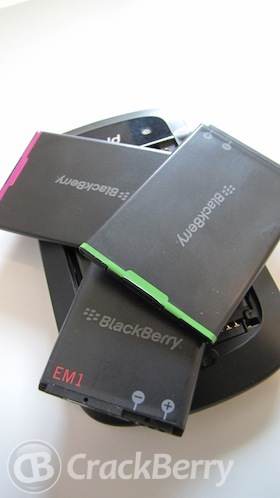 Battery life is a constant struggle for smartphone manufacturers and BlackBerry is no exception. Going back to before BlackBerry 7, battery life was something that RIM was renowned for. Unfortunately, these days most smartphones tend to sacrifice battery life for slimmer device dimensions. When BlackBerry 7 handsets started rolling out, battery life wasn't great and compared to previous OS versions it still remains that way. Sure, with bigger and better specced touch screen devices they will need more power but RIM was guilty of giving us smaller batteries in comparison to the hardware we were using. These battery issues have also been problematic with Android although recently things have started to improve with handsets getting a bit more well needed juice. Also, each new version of Android has made a natural progression to try and utilize battery life a little better. So what are RIM going to do with Blackberry 10? Will they follow suit from BB7 and try to go for the thinnest handset design possible? Or will they provide batteries with enough power to get us through the day and have the device a little thicker? I know which I would choose if it were up to me. I'm not bothered about shaving off a couple of millimetres. I want battery power. At least we now know that BB10 devices will have replaceable batteries. Praise the lord! So we put the question out to the CrackBerry nation. What is most important to you?